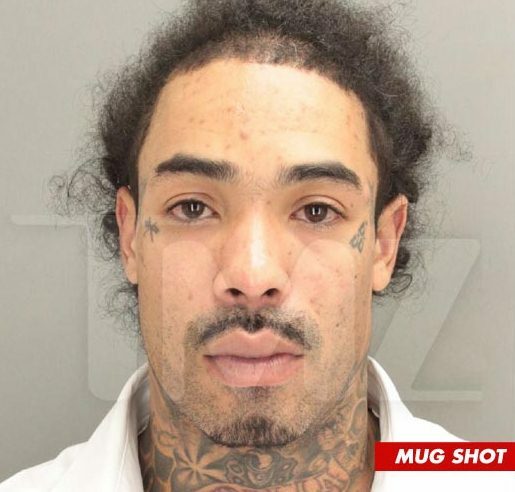 *Rapper Gunplay, a protégé of Rick Ross, has surrendered to police in Miami over allegations of armed robbery, reports TMZ. An arrest warrant was issued for the 30-year-old in May listing “robbery” as the offense. No other details about the alleged offense are listed. The rapper, real name Richard Morales, Jr., was with Ross’ Maybach Music Group when they were reportedly embroiled in a fight with 50 Cent’s G-Unit crew at the BET Hip Hop Awards, which took place in Atlanta on Sept. 29. No arrests were made in that incident, but police were forced to use pepper spray to break up an altercation between the rival groups. Yep, it looks like he was a pretty boy. pops pills like it’s nothing! He will be out and wildin’ again real soon. Gunplay is alright with me.